Post your CRY photos here! This yellow seems to work really well with the carbon flash / black contrast! 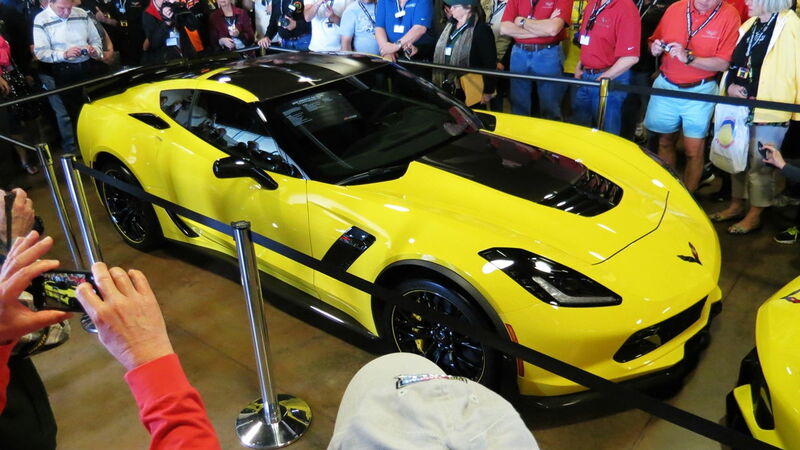 From the photos you attached, the new Race yellow looks more lemon; the Velocity yellow more banana. But yes, each picture makes the yellow look so different. 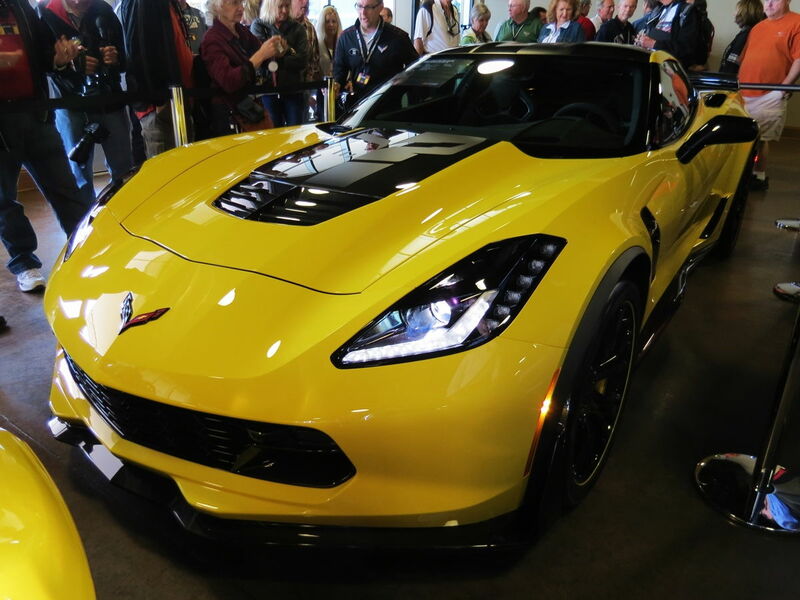 2016 Corvette Racing Yellow. Orange Peel? I don't see no steekin' orange peel! 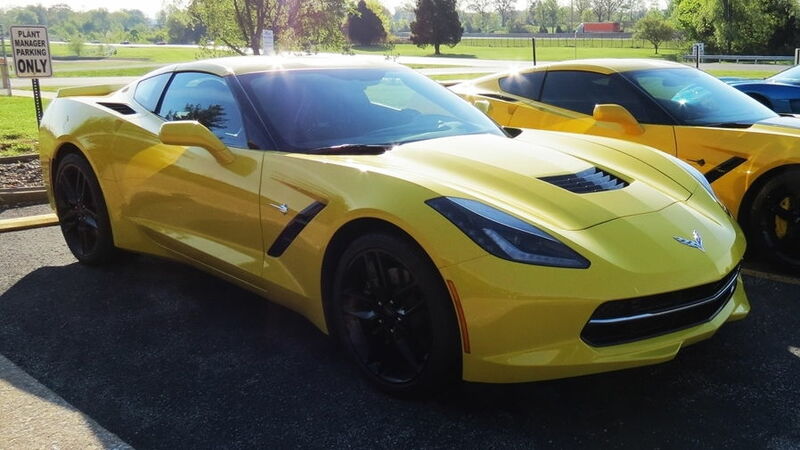 Seriously, The finish is a vast improvement over earlier C7s. It was worth the wait. Now I know why the back license plate area is so big... Dang that's a looooong license plate. Every pix looks different. I get to see mine tonight (8-11) or tomorrow (8-12)! That's a standard Euro plate that the car is designed to accept. The issuing country is identified on the Left. That particular one is a novelty plate I used for the photo. 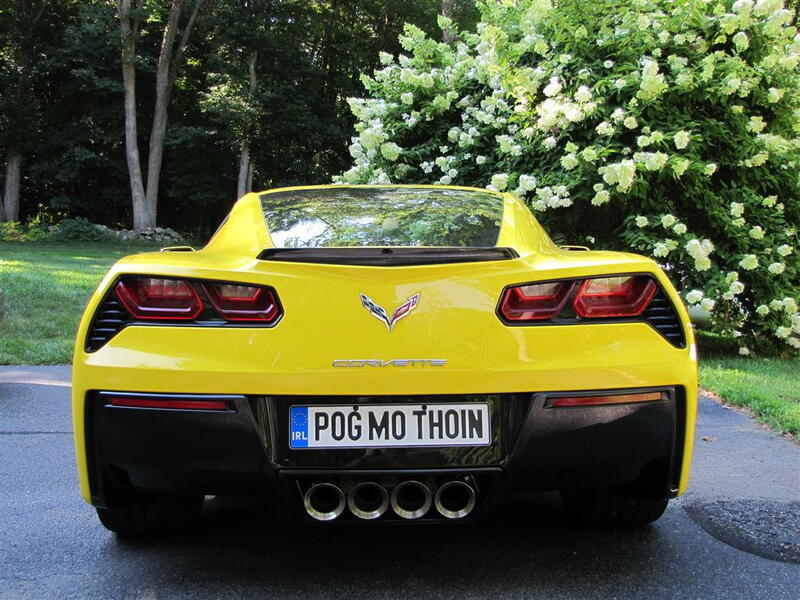 You can Google POG MO THOIN for the translation. After taking the pictures I drove about 10 miles on busy roads before I realized it was still on. :eek: ...luckily without incident. "But officer, That's Irish for "Respect your local LEO". Congratulations - Good Luck with it. When I picked the car up it was in a sea of cars with typical colors; Greys, silvers, silvery blue, silvery grey, etc. The CR Yellow was shocking. At first I thought I made a big mistake, It seemed so dazzling. However, once it was on its own, the color really pops. I love it! I even got several thumbs up on the ride home. Subscribe to my YouTube Channel for great C7 videos and more!!! Looks a like lot Porsche's Racing Yellow. I like it and think would look great with Lt Gray interior. Does anyone have the paint code for the new yellow? I can't find it anywhere on the Vette. Its not under the rear mat as some had posted in another thread. Thanks for the code. 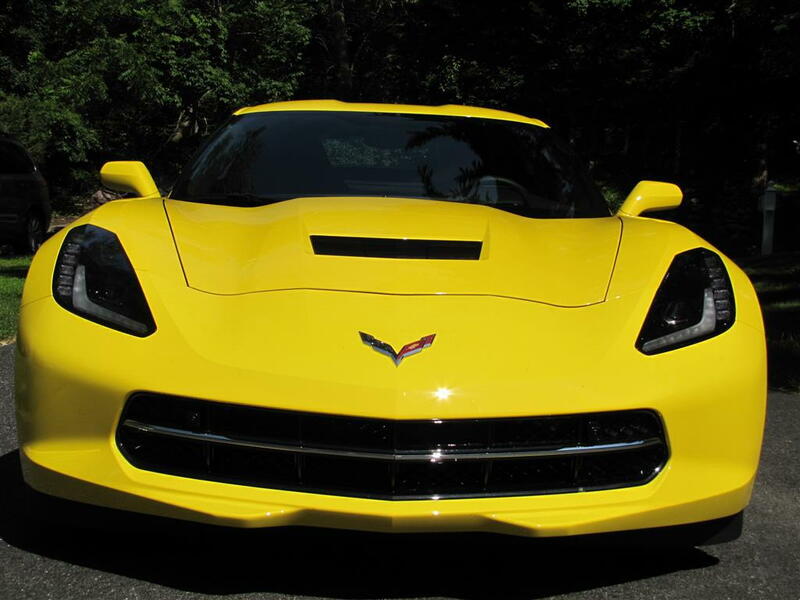 Found out its also called "Yell-O Tint Coat"
Far cry from Corvette Racing Yellow! Is it metallic?? Or pearlescent? Or what? Wow, only one racing yellow picture? I guess the people buying them don't post here. Interesting. GC6 is the feature order code. The paint code (for refinishing) is U 386A. Touch-up paint is WA-386A.